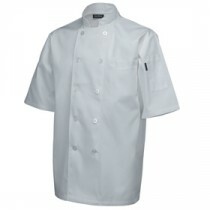 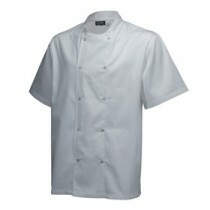 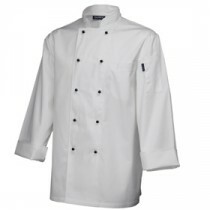 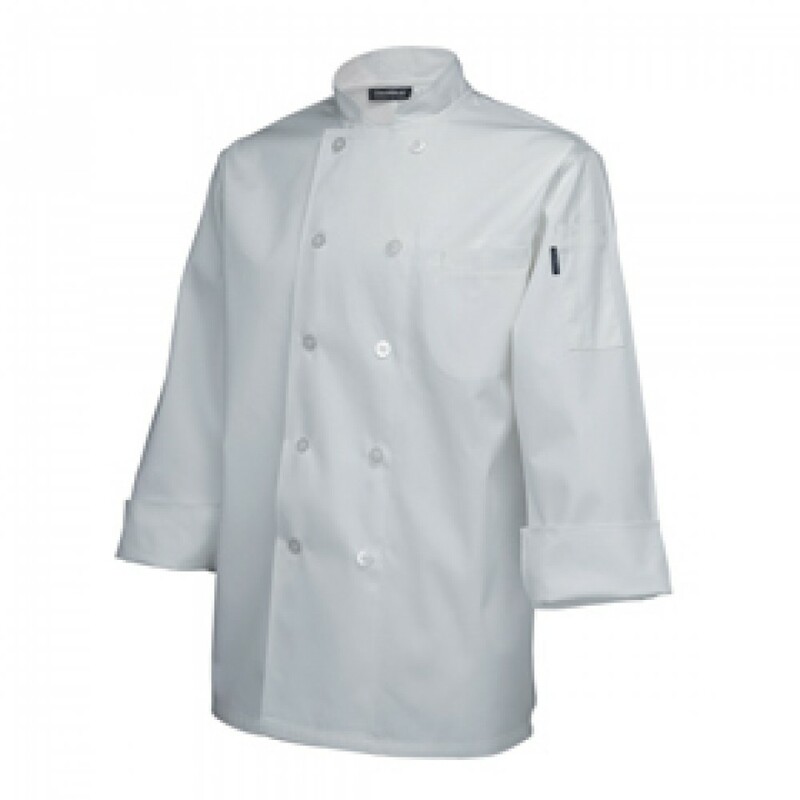 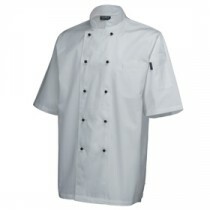 This White Genware Standard Chef Jacket Long Sleeve M 40"-42" comes with a sleeve pocket for a thermometer and button fastening for reliability- buttons can be replaced. 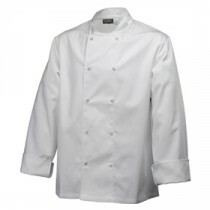 The Standard jacket also provides a durable, comfortable and stylish piece of clothing ideal for the tough conditions of the professional kitchen. 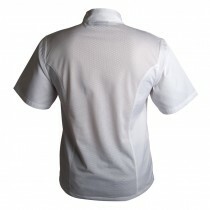 Available in short or long sleeve.